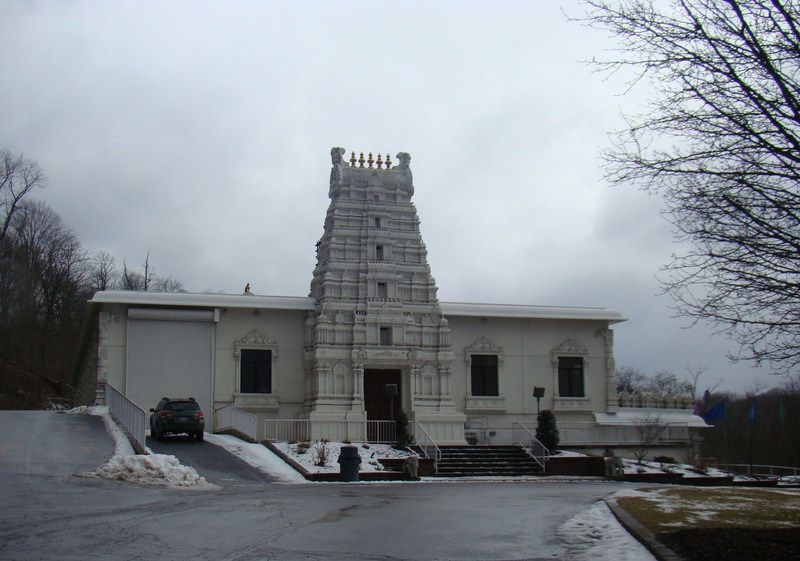 High atop a hill east of Pittsburgh, PA sets a beautiful Hindu temple, Sri Venkateswara. In such a far-off corner, you really wouldn’t expect many people on a winter day, but the temple was crowded with devotees of all ages worshipping God in their own way through prayer and meditation. Beautiful Child dressed for worship service. Sri Venkateswara is one of the earliest traditional Hindu temples built in the United States back in 1976. Their service involves much ceremony with many statues of their different Gods and Goddesses forming visual images of the invisible divine entities. Diwa lamps burning butter, or ghee provided by the sacred cows, passed through the people assembled. All wished to gather the light to be blessed with spiritual energy. Fruit and nuts were given by temple priests to bless and nourish the body, as worship nourished the soul. In the small sanctuary, people showed humility by prostrating themselves before God as the bells rang out their invitation to join in the ceremony. This vast congregation of worshippers showed extreme dedication to their beliefs. Children also enjoyed the day swirling and dancing with smiles and laughter. 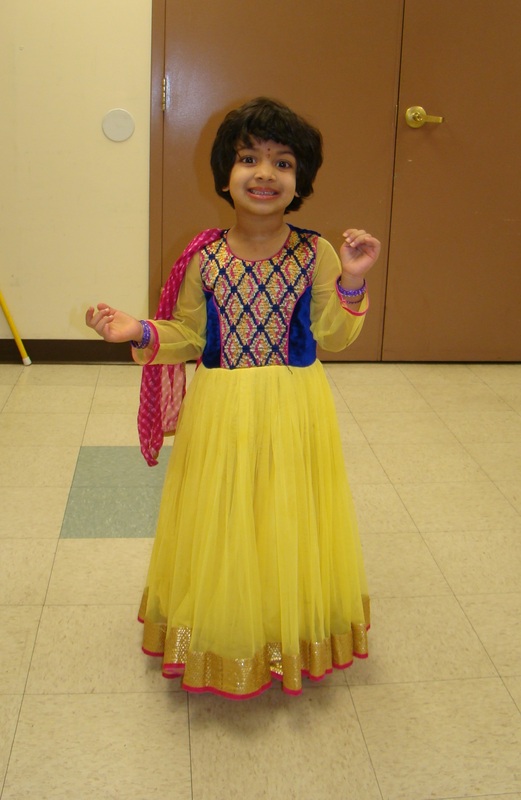 One small girl captured my heart as she twirled happily in a beautiful yellow dress with embroidered vest and red scarf. Her smile lit up the room. Women dressed in the most beautiful saris, and walked with grace and dignity. They attend temple services to give honor to their Hindu traditions, while receiving peace and energy from being there. This beautiful building had three floors, two used for worship, while one was for social purposes. After the worship service, which was basically a time of honoring the dieties, as well as meditation, most adjourned to the dining hall for a light vegetarian lunch. 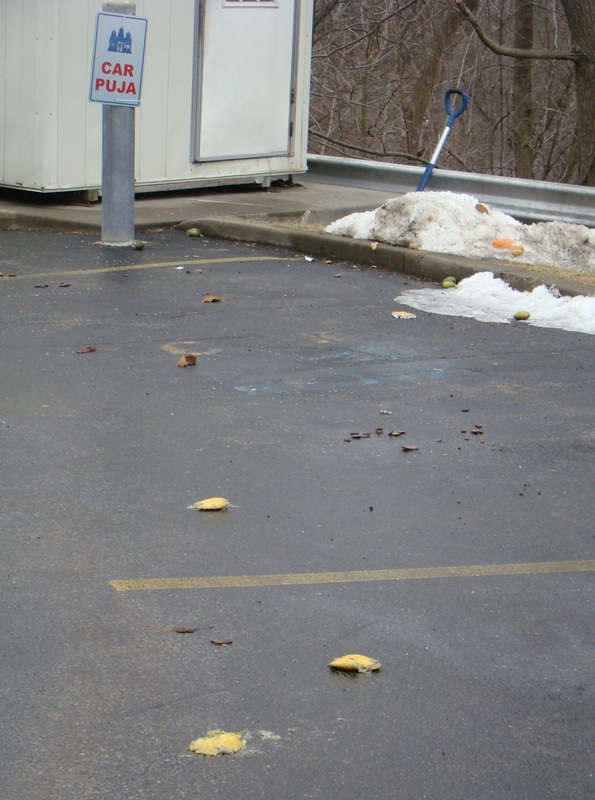 As we were leaving, smashed lemons appeared in the parking lot. Why would they be there? This area was designated as Car Puja, where new cars are blessed to rid the car of any bad influences. The tradition claims that if you run over lemons with all four tires, your car will be blessed and safe. A long flight of steps led to the temple. 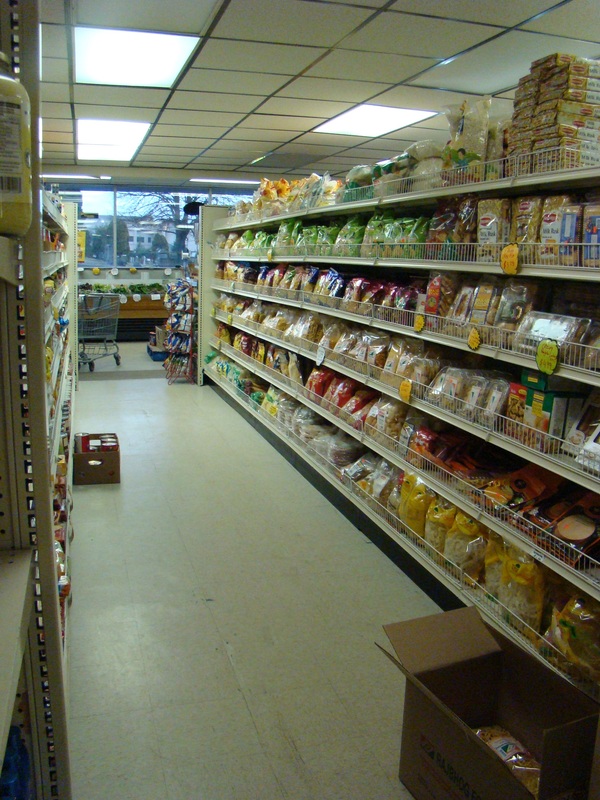 On the way home, a stop for a friend at India Bazaar completed the day with the purchase of chapati atta (whole wheat flour), jasmine rice, haldi (tumeric), and til (sesame seed) for them to use in future meal preparations. An extremely polite shopkeeper carried the purchases to our car. India Bazaar was the perfect stop for Indian food. Never say no to an adventure! You might be surprised at the interesting things found along the way. The beautiful day lifted my spirits because those attending were very kind and understanding to visitors, even if I was the only blond in attendance. 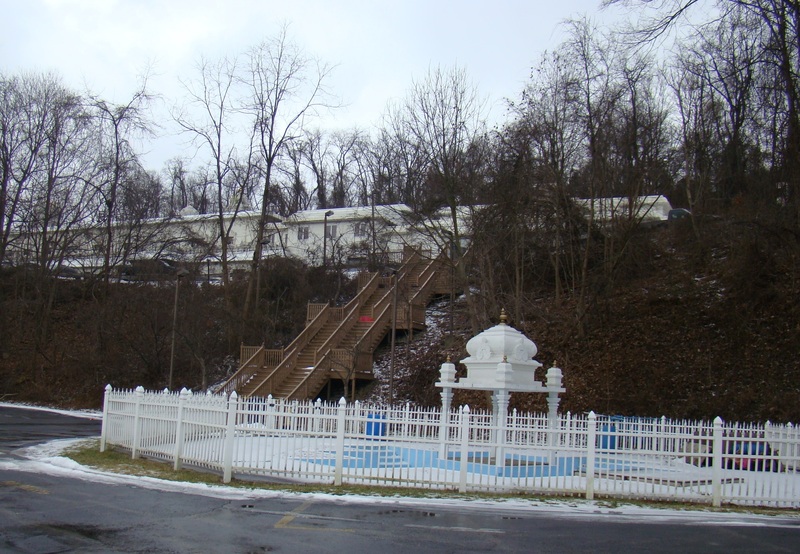 Sri Venkateswara Temple can be found on the east side of Pittsburgh, PA from I-376, Exit 80. Head to Route 22, Old William Penn Highway, and drive about three miles to Old Thompson Run Road. From there, follow the blue and white Temple signs as they are clearly marked. What a beautiful day! A wonderful experience in that Hindu temple and then tasty things at the bazaar, yay! I enjoy experiencing all parts of our wonderful world.